He offered to sell Jimi Taro Patrick a shotgun and four pounds of marijuana for $8,000, but when he went to pick him up on July 5, he only had $800. DiNardo shot him with his mother’s gun and buried his body ‘far away’ from the other three in a six-foot grave. Dinardo has a history of mental illness. He struggled with schizophrenia, said Bucks County District Attorney Matthew Weintraub. The year before, he was involuntarily committed to a mental institution, according to Bensalem Police Department Director of Public Safety Fred Harran. Dinardo was born with the moon (emotions) in the sign of Cancer (Lunatic, moody or crabby) in the 7th house of partnerships, public, how people see you, enemies. This means his domestic/early life or connection with his mother and women in general is not emotion stability. Capricorn 3rd house or mental process is Neptunian, this mean all Pisces think and talk like a Pisces producing or their subconscious, illusion, dreams, deception and drugs. Dinardo born with Mars the red planet of war (bullying) is located 10th house of public standing and dignified in its own Aries sign. This planet rules Germany, affects the rough Germanic sound, army like language, actions, beliefs etc. Dinardo was also born in Dragon Tail (negative) in Aries…He is weird, eccentric unusual Aquarius Sun which it’s controls the individual’s characteristic public self-expression. He born with Sun (soul purpose) in Aquarius (friends/wishes) in 2nd house of MONEY. Sean Kratz allegedly joined his *friend cousin Cosmo Dinardo in a plan to rob local men. Uranus (sudden release of energy/ explosive / shocking / weird / original) in Aquarius (4 men/friends/wishes) in 2nd house of MONEY. 2017 Universal Dragon Aquarius/Leo axis will affect the personal dramatically but each one of you personally in two specific areas of your life in the housing system for better or worse. Currently transit of the Aquarius Dragon Tail (negative) enter his 2nd house of the chart: money-motivated to rob them with the help of his suspected accomplice, friend, Sean Kratz. Aquarius rules SHOCKING NEW DETAILS/ KILLING: Cosmo DiNardo killed 4 missing men, burned bodies at family’s farm. Police sources said DiNardo was known to sell as much as a quarter pound of pot for several thousand dollars. DiNardo born with Neptune (deception/addict/drugs) in 1st house of self, first approach to situations and attitudes. He would also include handguns in these transactions. ‘Every death was related to a purported drug transaction, and at the end of each one there’s a killing,’ the source said. Pluto (death/drama/fanaticism) is located in his 12rd house regulating subconscious, dream and illusion interests and destructive, deadly intonation. 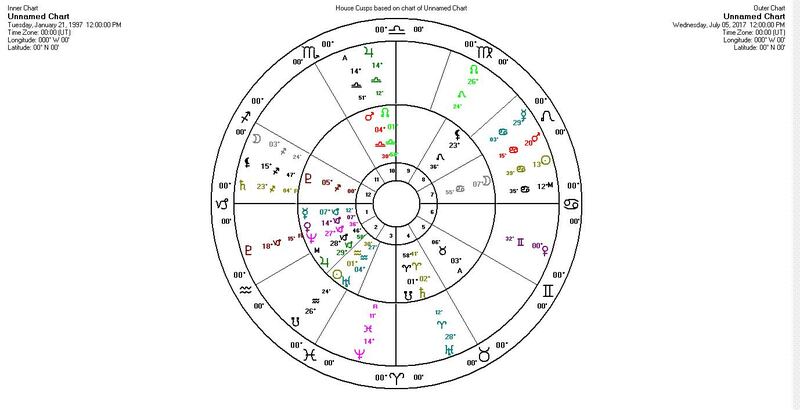 Between July 5 and July 7, 2017, the transits of the planet Mars “The Lord of War” enter his 7th house of the public, how people see you, and known enemies… with taking on a leading aggressive or too dominant as a destructive and destabilizing/shocking force against 4 men after three separate transactions. If you are concerned parent or student realize that; a true Plutonic soul does not care and will kill anyone without hesitation. Its time to bring back the true spiritual cosmic education values as God intended humanity to use the stars and making up the core of the humanity in relationship to our creator and its Universal celestial creation. Cosmo DiNardo never learn about who’s creator and Universal celestial creation at home or school in the first place. Your government, churches and educational system will not help your children before it’s too late… The purpose is in the stars. The mystery solved is in the stars. The cosmic God is in the stars in order to get your personal cosmic identifies to protect yourself.